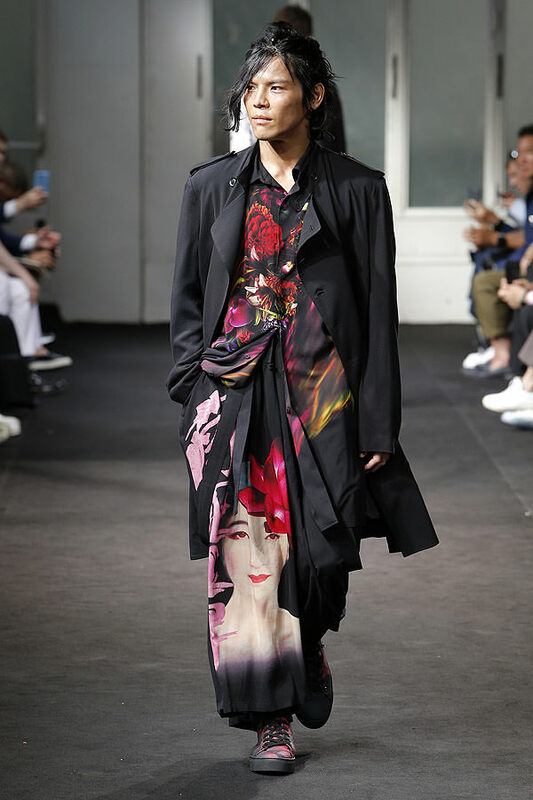 And then of course, the images of Yamamoto himself smiling and smoking printed on shirting and outerwear, are sure to be big commercial hits. 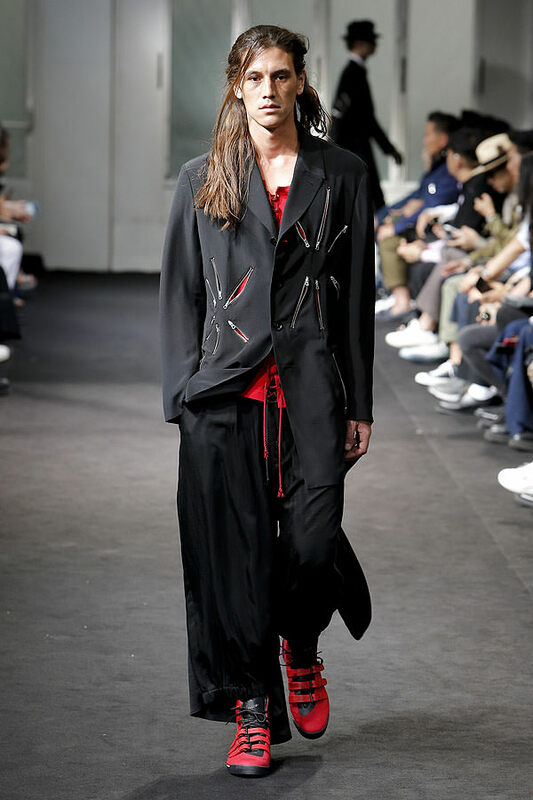 Yamamoto is after all a true rock star. 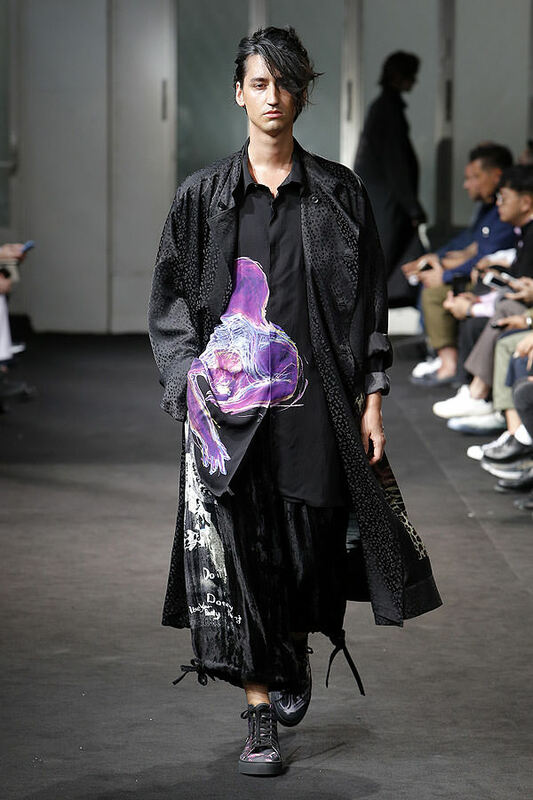 All of the more gender-fluid forms were great and an exciting continuation of the Yamamoto canon, but before them there were some leather pieces that had little relevance to the collection, and a section of loose tailoring with appliquéd zips, an uncharacteristically under-explored theme, that didn’t really need to be there. 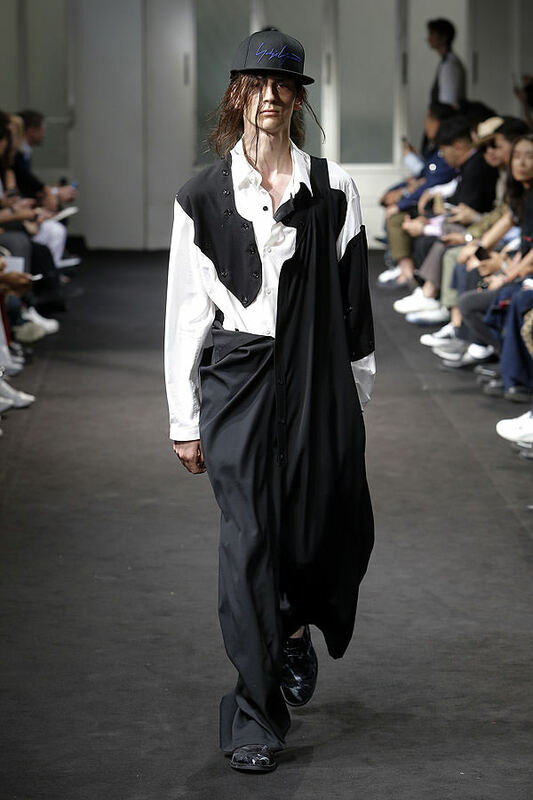 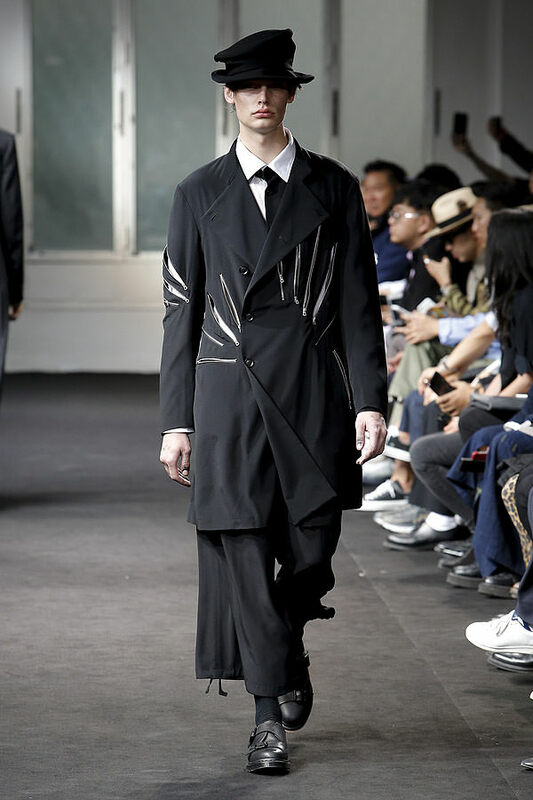 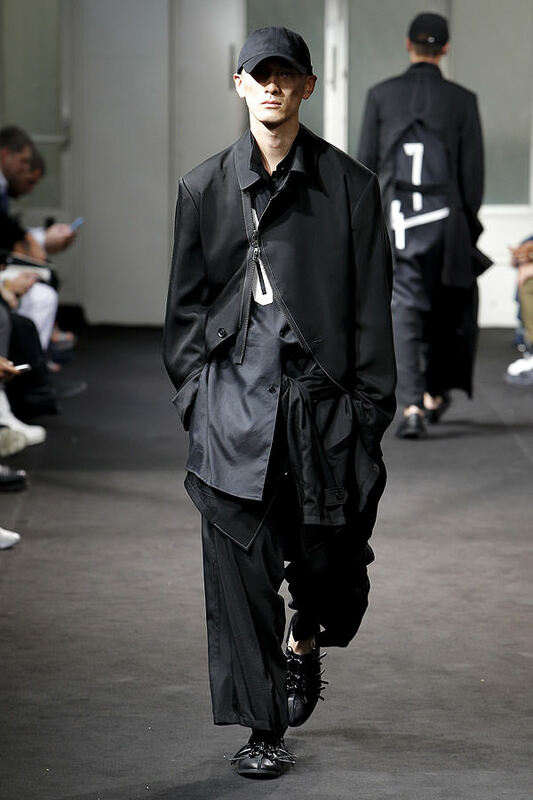 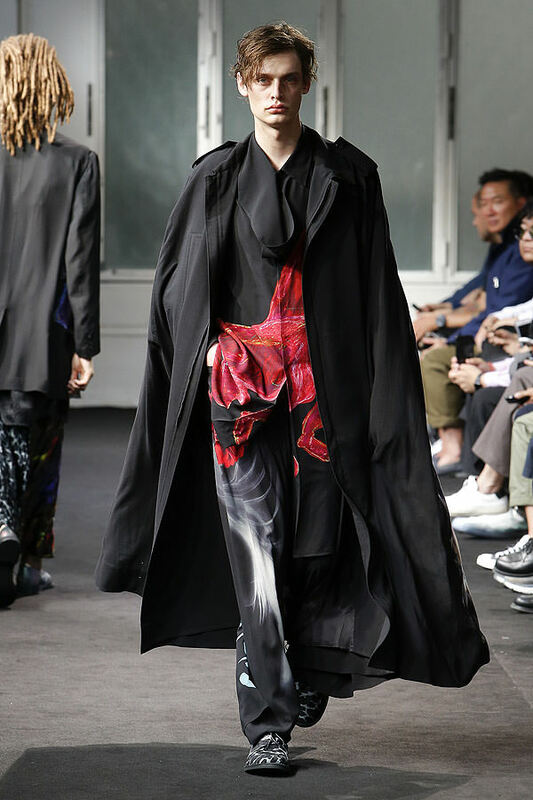 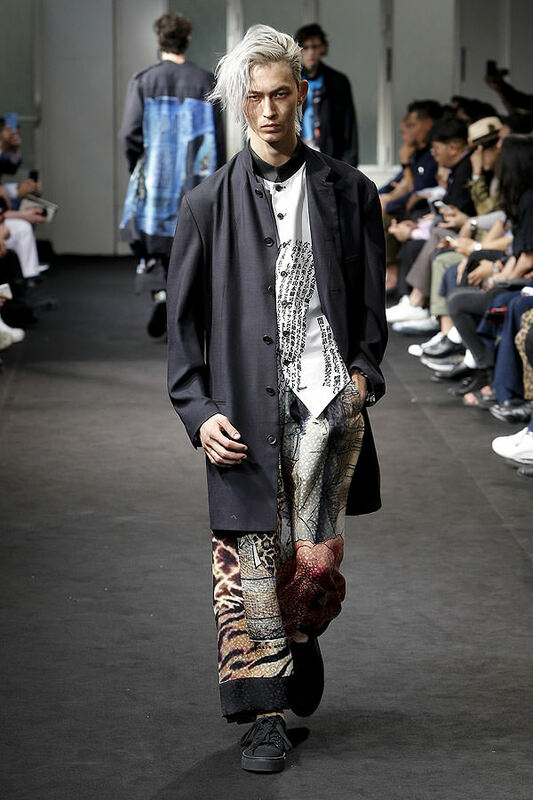 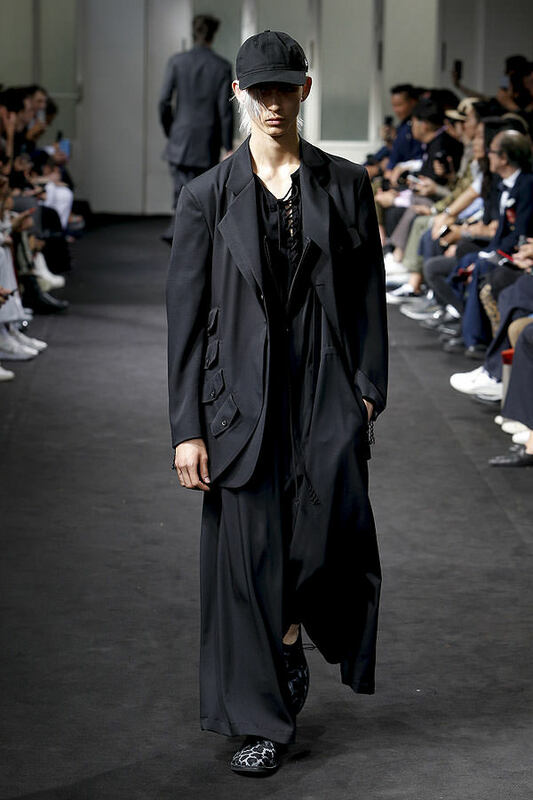 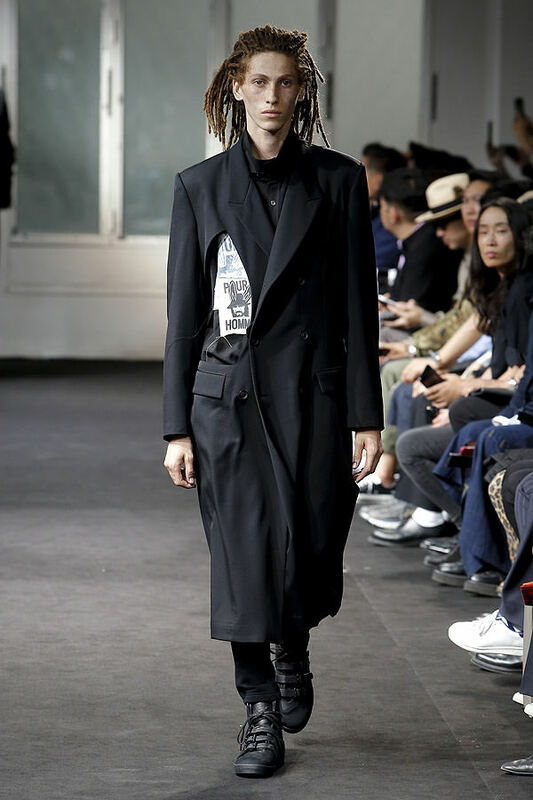 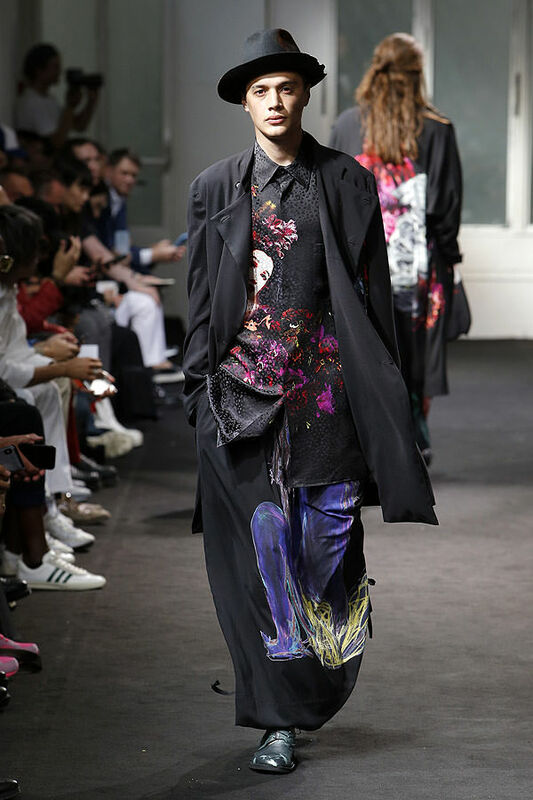 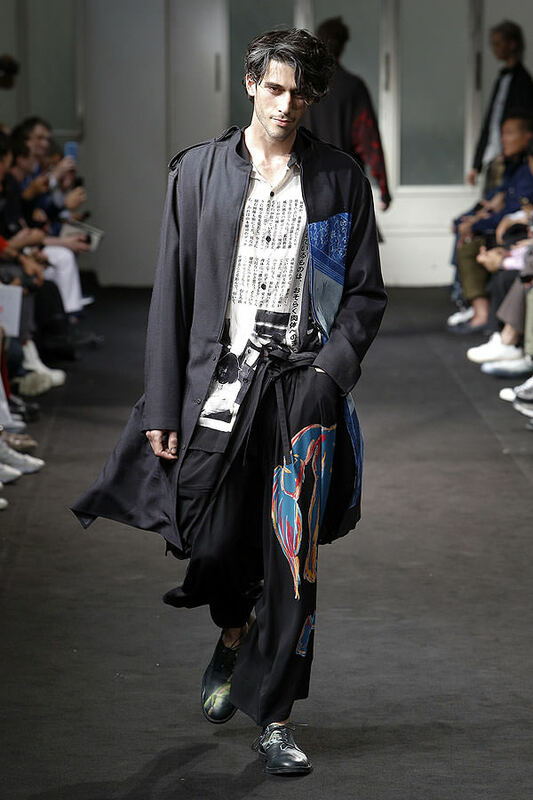 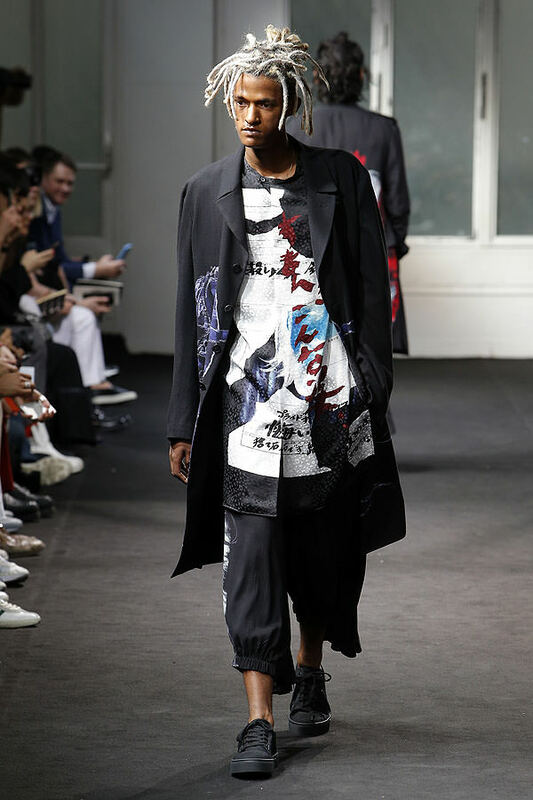 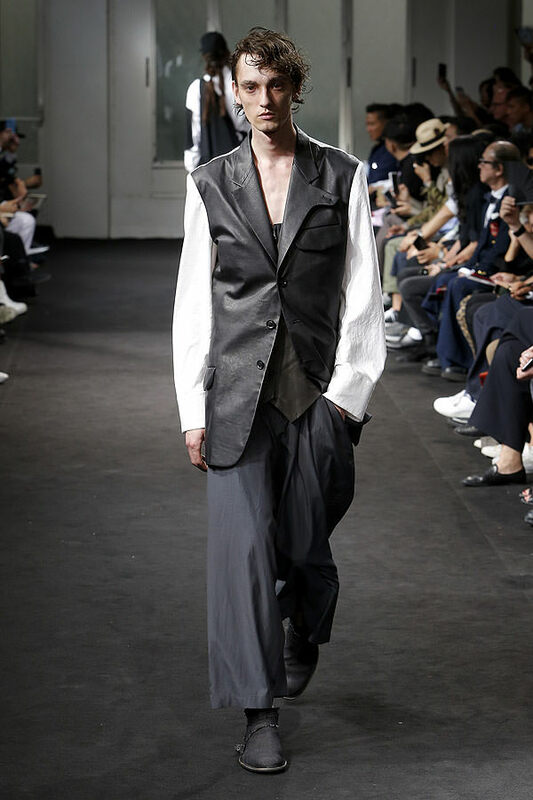 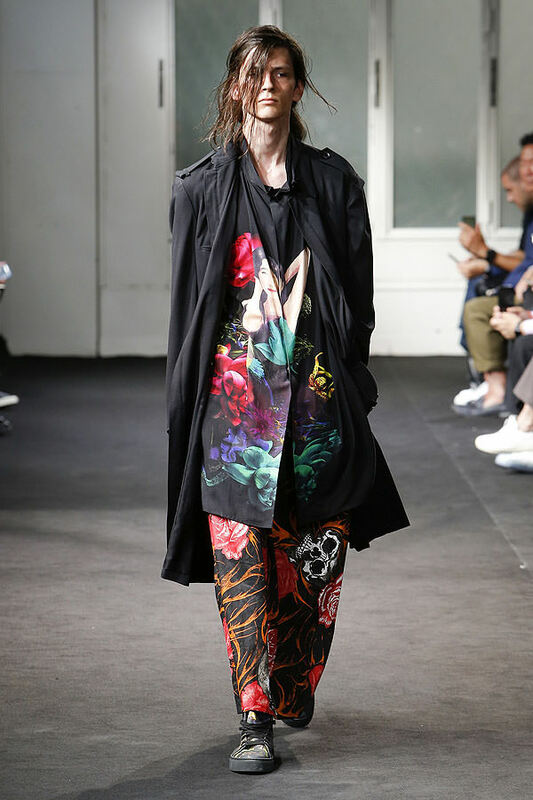 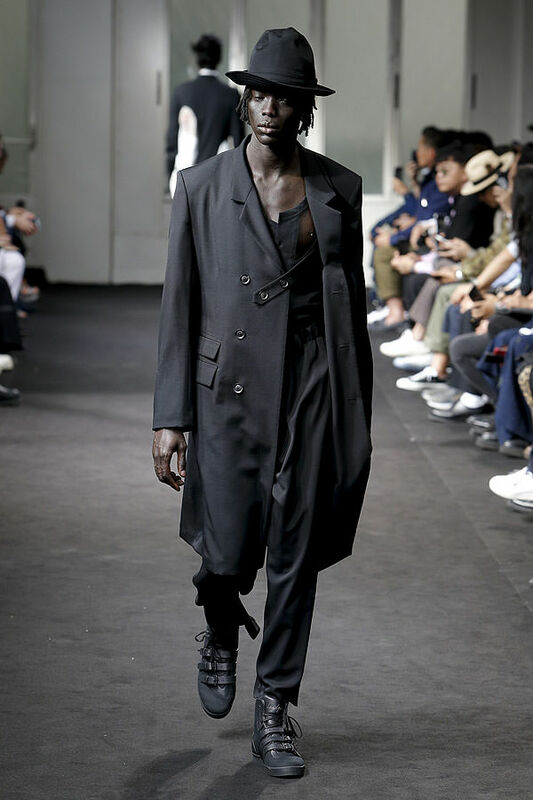 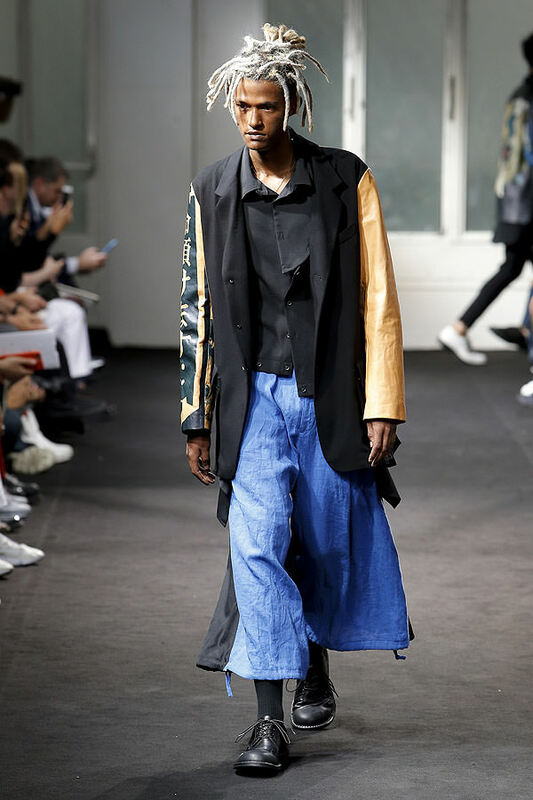 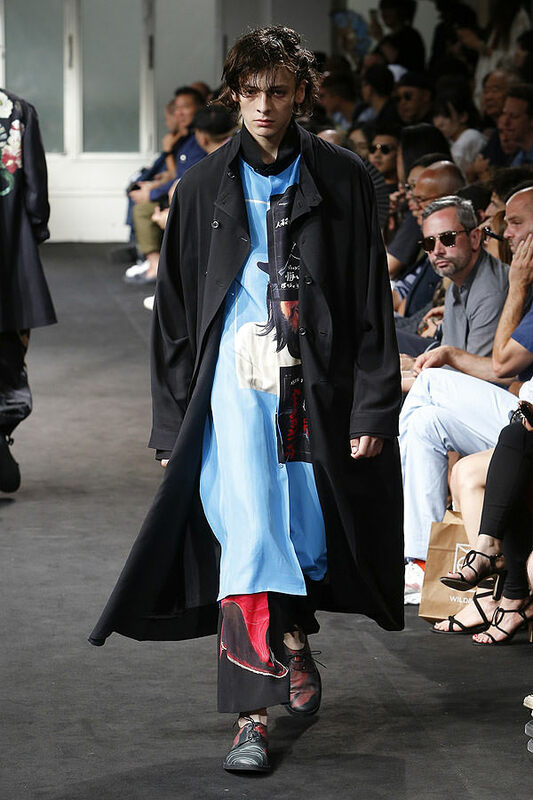 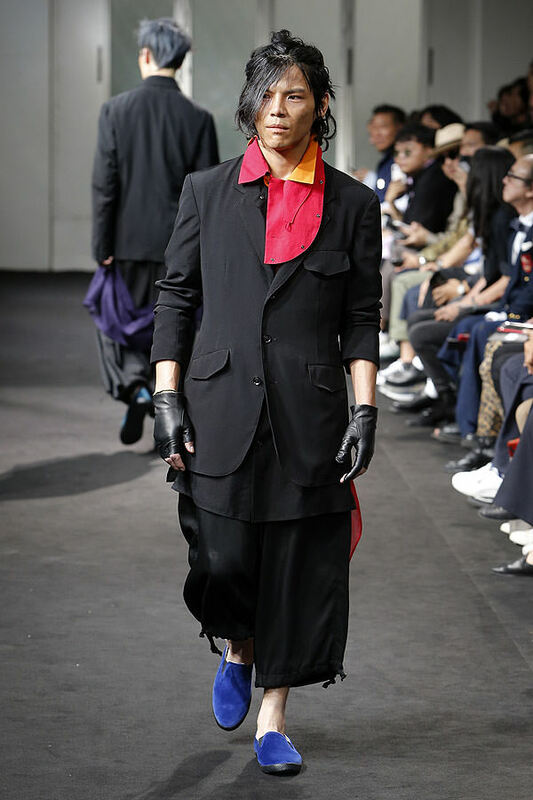 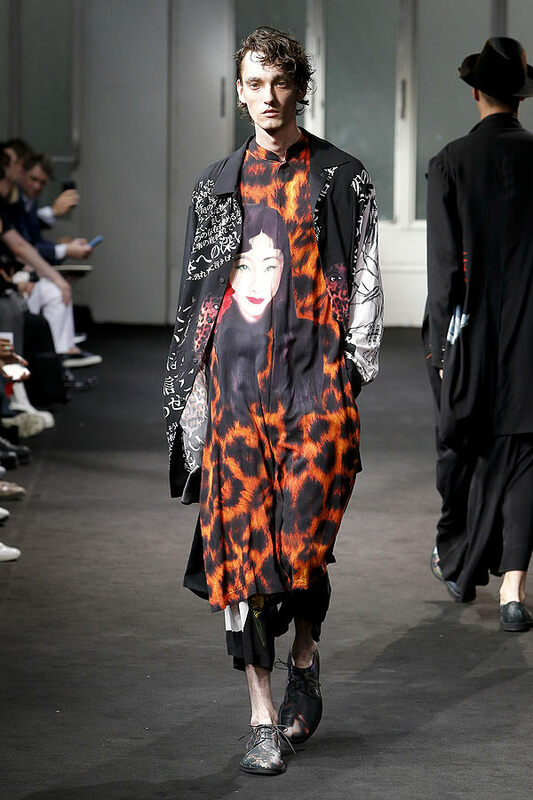 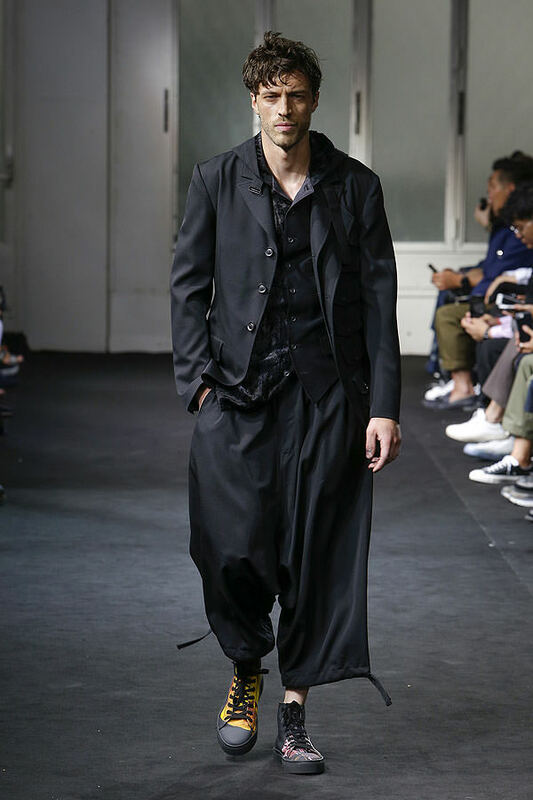 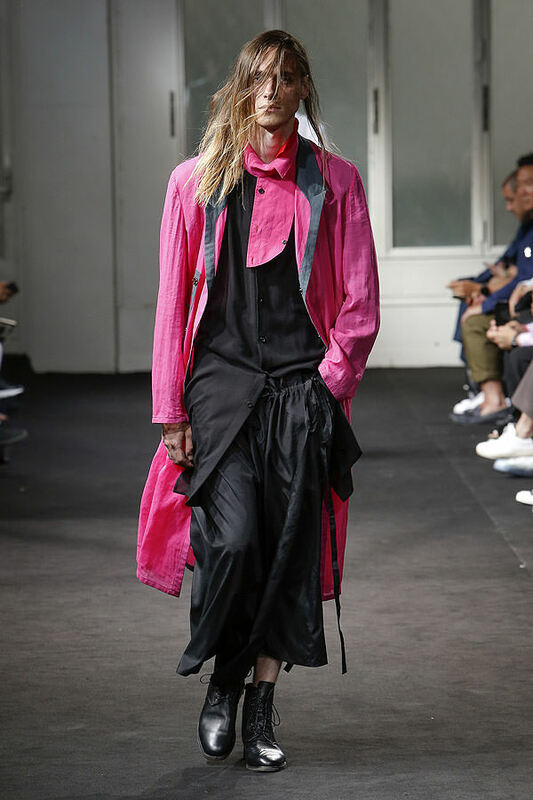 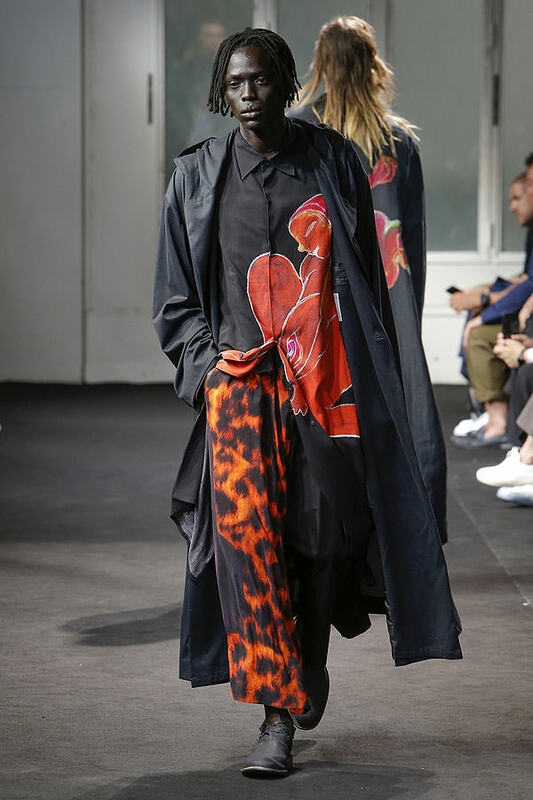 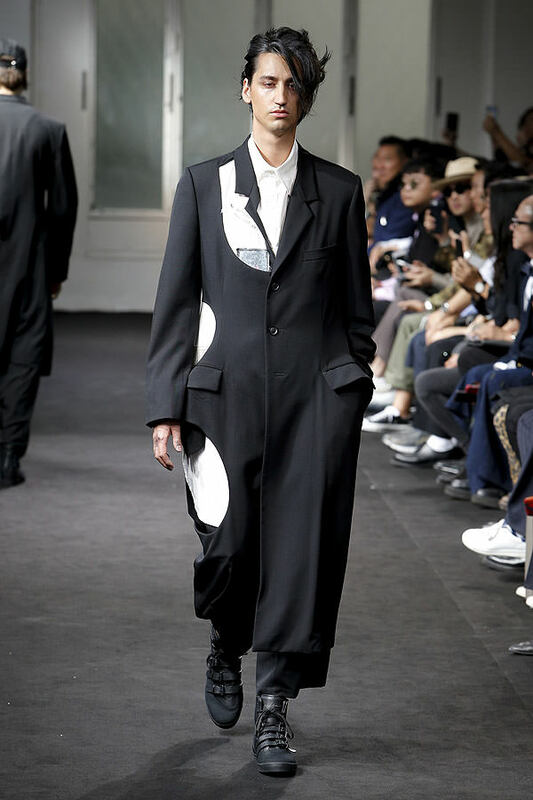 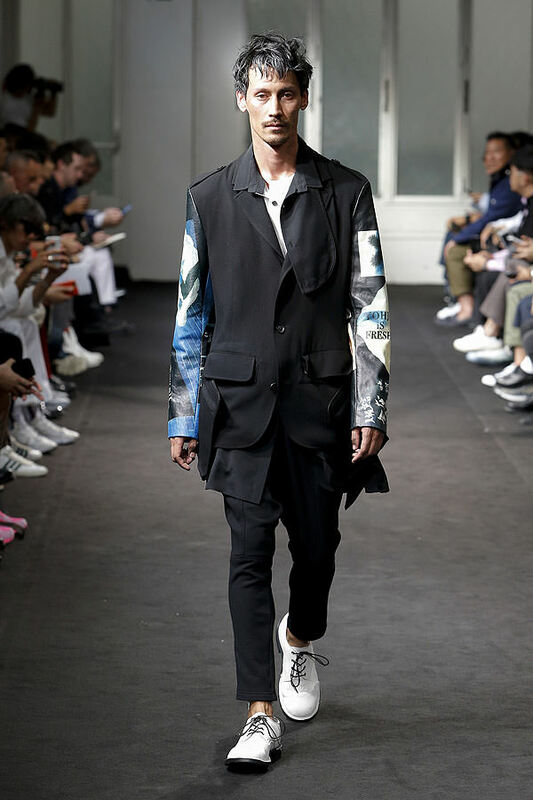 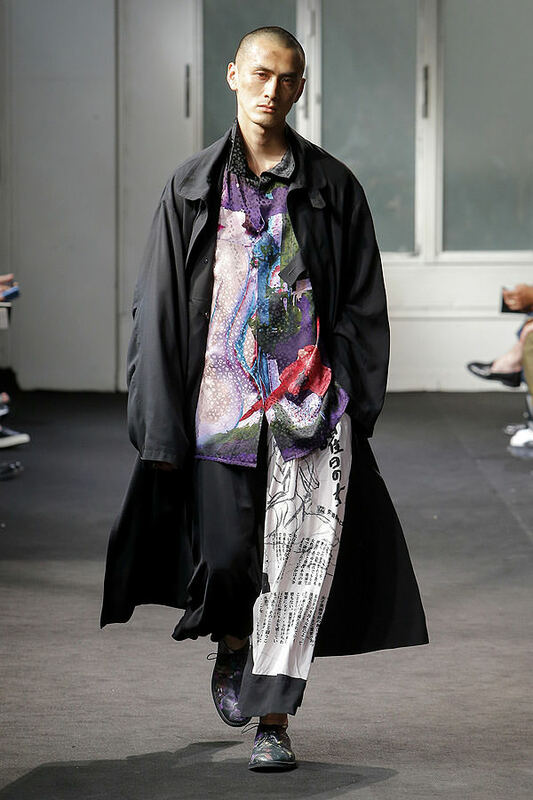 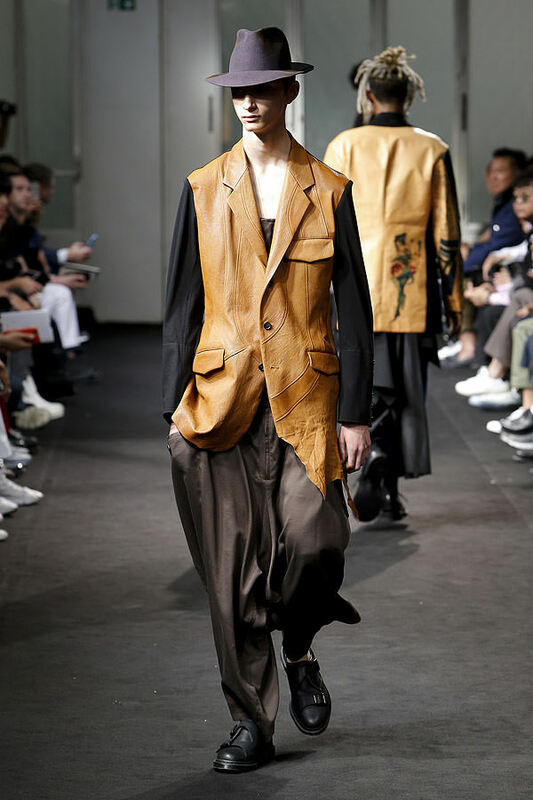 And although it was exciting to see Yohji experimenting with so much saturated print, and fluid form, the whole thing felt a little disjointed. 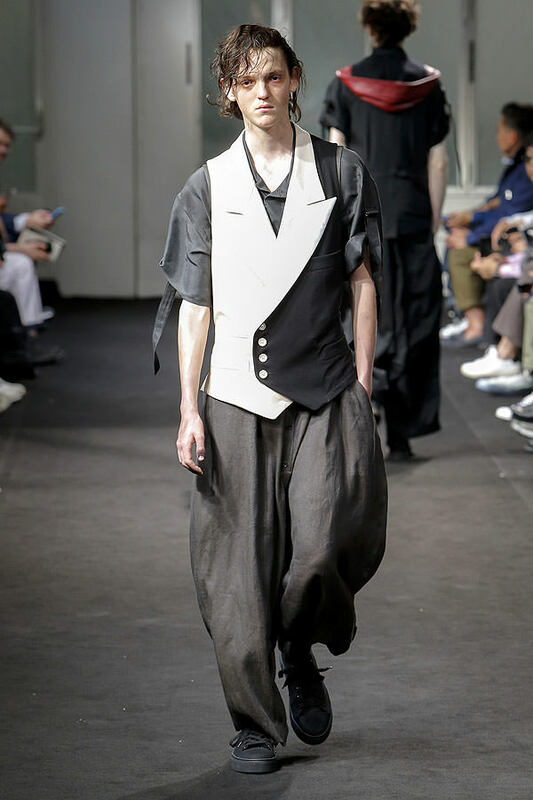 But let's not let small quibbles bring down an otherwise good collection.